If you’ve got a Sofia the First fan in your household, you (or your little fan) will love this new music CD! 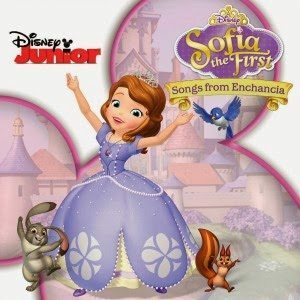 Sofia the First: Songs from Enchancia was just released on January 28 (2014.) It includes a variety of songs which you can hear a sample of below. I’ll be honest, I’m not much of a Sofia fan, but my daughter enjoys the show. I had expected this CD to be a bit annoying as I assumed I would be hearing nothing but Sofia’s voice going on and on. Thankfully, my expectations were wrong! There is a nice variety of songs and voices on this CD, it doesn’t irritate me at all. From my daughter’s perspective (6 years old), she thinks it’s great! She’ll turn it on and dance around in the living room – even her little brother will join in. (Great exercise for them – and they don’t even know it!) My kids like the catchy tunes and enjoy this CD immensely. 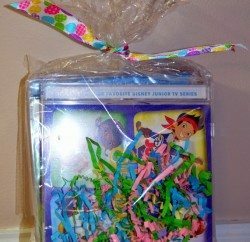 Editor’s Note: We received a complimentary Audio CD review copy of Sofia the First: Songs of Enchancia through the Entertainment New Media Network. Our reviews are not influenced by receiving a review copy, nor are we compensated any other way for reviewing products. We may provide affiliate links where products can be purchased, but do this of our own volition. Previous PostProduct Review: Rustico Leather Travel Accessories Next PostEnter to WIN this "Frozen" Candle created by Walter & Rosie!